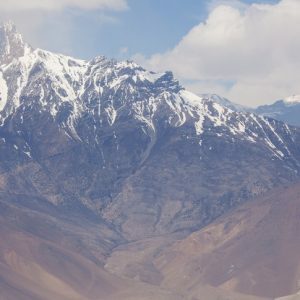 10 Day Chomolhari Trek | Ultimate Expeditions | The Best Adventures on Earth. Known as the Land of the Thunder Dragon, Bhutan has countless adventures waiting to be had with its diverse mountainous terrains and immersive cultural heritage. Visitors keen on undertaking the Chomolhari trek will enjoy the rolling hills of Chomolhari, while taking in sweeping views of the valleys, as the trail passes through rhododendron forests and glacial streams along the way. 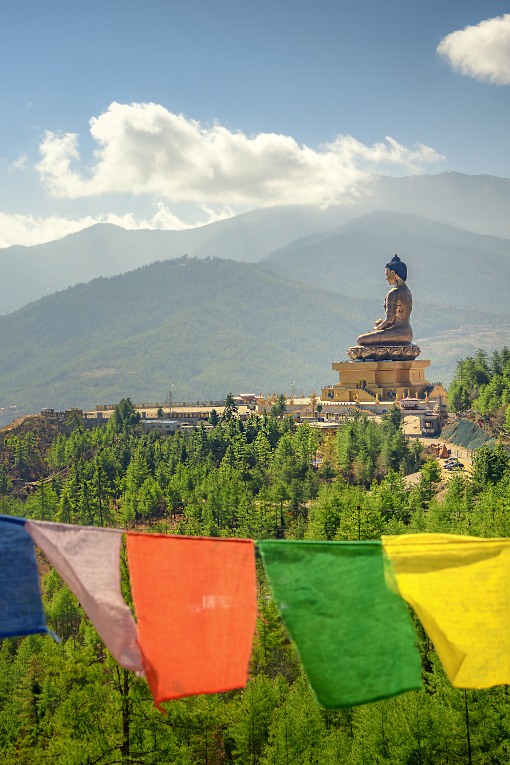 City tours of Thimphu, Paro and a visit to the stunning Tiger’s Nest Monastery. 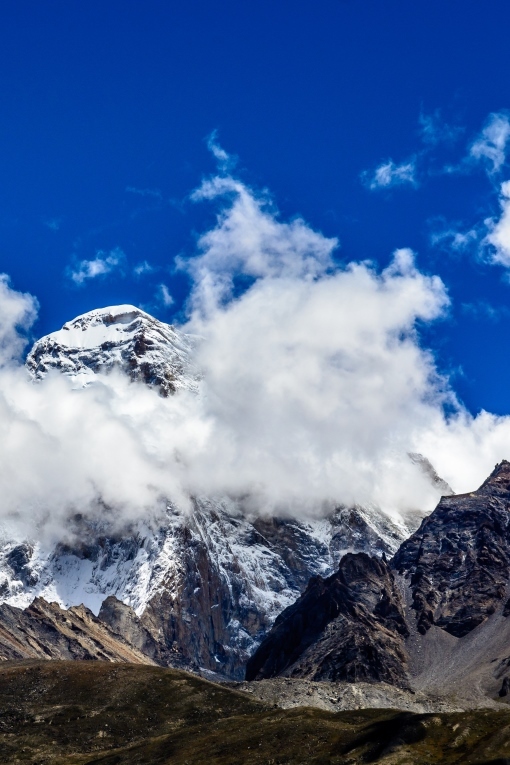 The best time to experience this trek is between March and June or September and November. A trek representative greets you at Paro airport and escorts you to the hotel. You have the option to tour the city in the afternoon where you will visit the National Museum housed in Ta Dzong, walking past collections like religious thangkha paintings, postage stamps and relics. You will then walk to Rinpung Dzong, which was built by Bhutan's first spiritual leader in 1646. The Dzong entrance encompasses a traditional Bhutanese covered bridge, Nemi Zam, offering beautiful views. On return to the hotel, you'll have a pre-trek briefing session. This morning you will take a tour to Taktshang Lakhang, more widely known as the Tiger’s Nest Monastery, one of the most famous monasteries in the world. The Taktshang monastery nestles on a clifftop, around 10,100 feet above sea level. The main temple, one of the holiest sites for the people of Bhutan, was built in 1692. The name ‘Tiger’s Nest’ originates from the legend that in the 8th century, Guru Rinpoche, an Indian Buddhist master, came to the monastery to meditate on the back of a tigress. The monastery is now recognized as a sacred place of worship for Buddhists, and will be visited by Bhutanese people at least once in their life. In the afternoon you will visit Kyichu Lhakhang. This temple marked the introduction of Buddhism to Bhutan in the 7th century and is one of 108 temples built by the Tibetan king Songtsen Gampo in the Himalaya. From here you will be driven to the ruined fortress of Drukgyel Dzong. The Dzong was almost destroyed by fire in the 1950s, but in 2016 the Prime Minister announced a program to rebuild the Dzong and bring it back to its former glory. From the road to the Dzong there is a great view of the 24,035 foot high Chomolhari, ‘The Bride of Kangchenjunga’. You will return to your hotel in Paro for the night. Your morning begins with a 2-hour drive through fields and orchards to Shana Zampa where the trek begins. On a sunny day, you will view the Chomolhari summit at the valley's head. 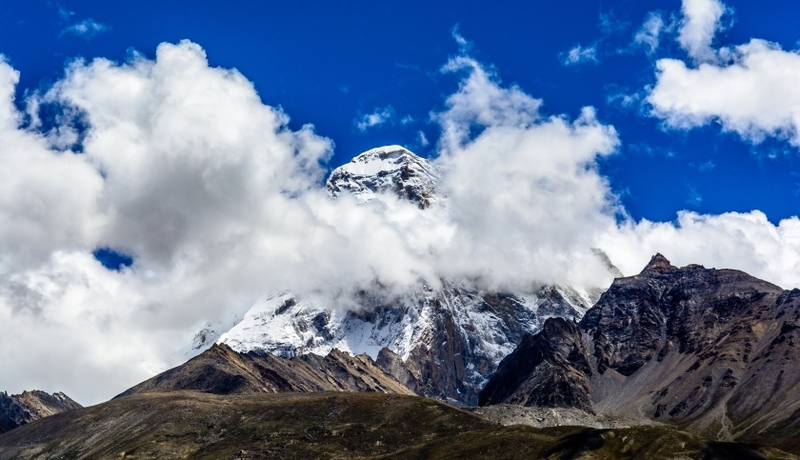 You will soon arrive at Gunyitsawa, an army base and the last stop before the Tibetan border. A fork in the trail leads to Tibet, while you follow the Pa Chhu River path. You'll pass through lush forests and enter Jigme Dorje National Park, Bhutan's largest protected area. Upon crossing the river, you will have lunch before continuing on your trail through rivers and forests before reaching the Thangthangkha campsite. The trail starts from Thangthangkha and passes a small army camp. As you follow the river, you enjoy beautiful mountain views where Chomolhari 24,035 ft and Jichu Drake 22,290 ft are clearly visible. You'll have lunch at a yak herder's camp before embarking on an afternoon walk to the campsite at Jangothang (Chomolhari Base Camp) which sits at sits at 13,254 feet. Your next day starts with a gentle streamside trek for thirty minutes where you begin ascending towards the first ridge. At the ridge, you'll enjoy Chomolhari, Tsrim Khang and Jichu Drake views. Once you cross the valley floor, you'll climb to the Nyele La Pass before gradually descending to the Lingshi campsite. The trail crosses through rhododendron forests with spectacular views of Lingshi Dzong and mountainous peaks. Today you'll cross the highest pass during your trek, which starts with a ridge climb before you turn south to the Mo Chhu valley. The trail follows a steep climb to the Yale La Pass 16,240 ft (4,950m). 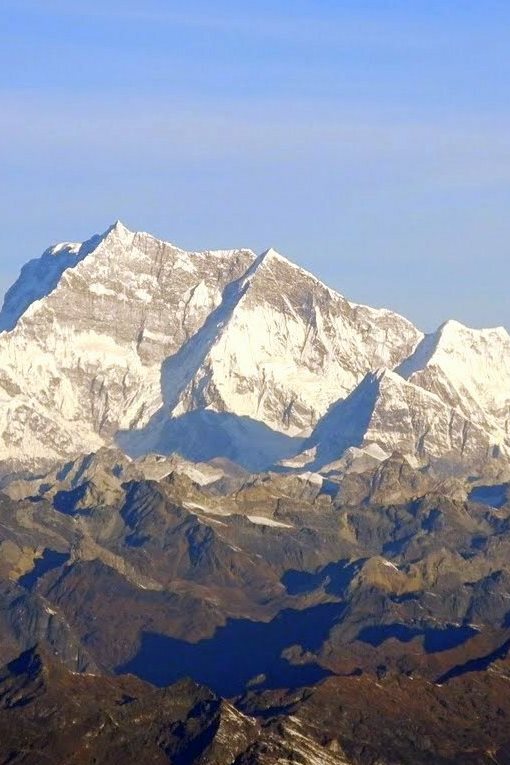 On a clear day, you'll see Tserim Khang, Gangchhenta, Chomolhari and Masang Gang from the top. The descent then follows a stream towards Shodu to your next campsite. You'll now pass through the treeline before the path takes you through alpine and rhododendron forests where you will enjoy views of exquisite waterfalls and beautiful cliffs as you walk through the course along the Thimphu Chhu river. Follow a steep stone staircase down to the river where you will enjoy lunch. 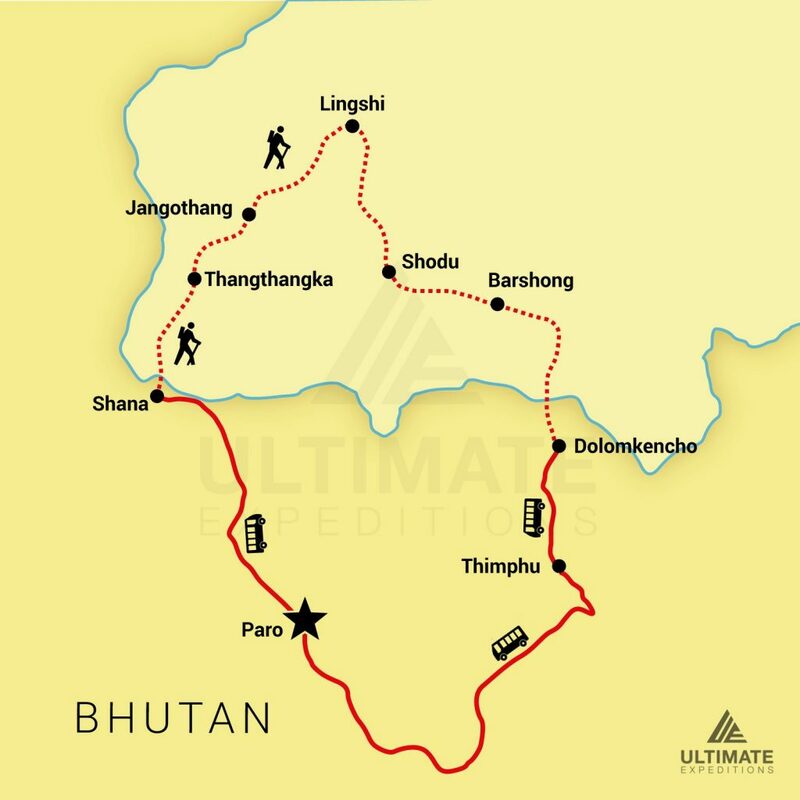 You'll then walk up a gradual incline once again to your campsite at Barshong Dzong. The day begins with a descent through forests before a steeper decline to the Thimphu Chhu River. The trail then follows the river with a cliff climb into the Dolam Kencho pastureland. The trek ends here and you will be driven to Thimphu for one hour. Stay in a hotel in Thimphu overnight. Enjoy a morning tour of Thimphu by visiting the National Library, the Zorig Chusum Institute and the Textile Museum. The library houses ancient Buddhist manuscripts, while the institute teaches traditional arts and crafts. The textile museum covers the history of weaving in Bhutan, while a living museum, Simply Bhutan, introduces traditional life in the country to visitors. Check whether all sites are open on the days you are visiting before planning your trip. You'll end with a Trashi Chhoe Dzong visit, known as the Fortress of the Glorious Religion and home to the throne room of the monarch. You'll be driven to Paro in the afternoon for an overnight stay before final departure. Your transfer guide will transport you to the airport for your departure.